Lemmy's name was synonymous with notorious excess. His blood would have killed another human being. This is the up-to-date story of the heaviest drinking, oversexed speedfreak in the music business who tragically passed away earlier this year. Lemmy had quickly outgrown his local bands in Wales, and tripped through his early career with the Rocking Vicars, backstage touring with Jimi Hendrix, and his time with Hawkwind. In 1975 he went on to create speedmetal and form the legendary band Motoerhead. 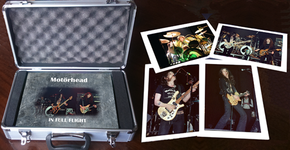 Motoerhead stand firm as conquerors of the rock world, their history spanning an insurrectionary forty years. While the Motoerhead line-up saw many changes, Lemmy was always the soul of the machine. 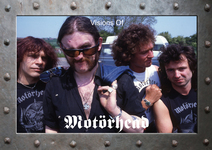 In the words of drummer Mikkey Dee, `Lemmy was Motoerhead.' 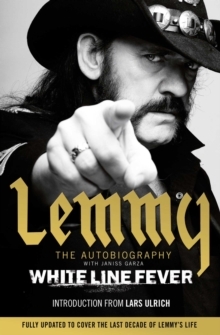 White Line Fever has been completely updated post Lemmy's untimely death in 2016, and offers all Motoerhead fans who loved his music a sometimes hilarious, often outrageous, highly entertaining ride with the frontman of (what was) the loudest rock band in history. A truly epic finale, and tribute, to Lemmy from those who loved him best.